Definition - What does Vitarka Mudra mean? To perform vitarka mudra, the tip of the index finger and thumb touch while the other fingers extend toward the sky. The palm typically faces outward, away from the body. In addition to being symbolic, mudras are used in yoga and meditation to control the flow of energy in the body and unblock chakras. Although hand mudras are the most common in yoga, there are also head, postural, lock and perineal mudras. In vitarka mudra, the circle formed by the index finger and thumb symbolizes the flow of information and energy. 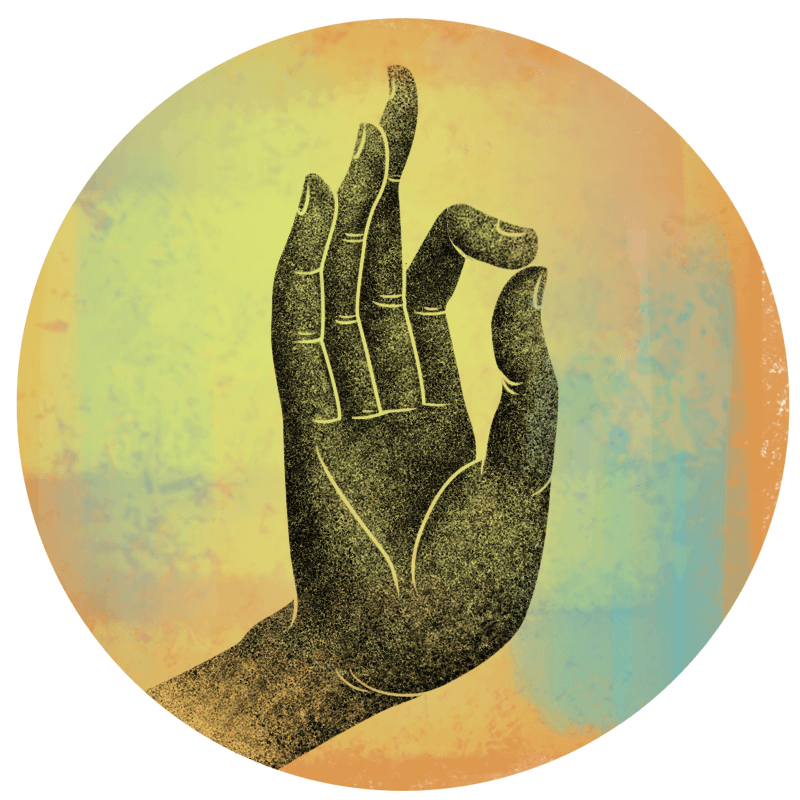 This mudra is most often associated with the Buddha, representing the transmission of his wisdom and used when explaining his teachings. It is a common hand gesture used in Buddha statuary, particularly those of ancient Thailand. There are variations of this mudra. Historically, only the right hand displayed the mudra, but today it is often practiced with both hands. Sometimes the thumb and middle finger touch, symbolizing compassion, or the thumb and ring finger touch, meaning good fortune. In another version of vitarka mudra, the left hand rests palm up in the lap while the right hand is raised to shoulder level with the thumb and index finger touching.